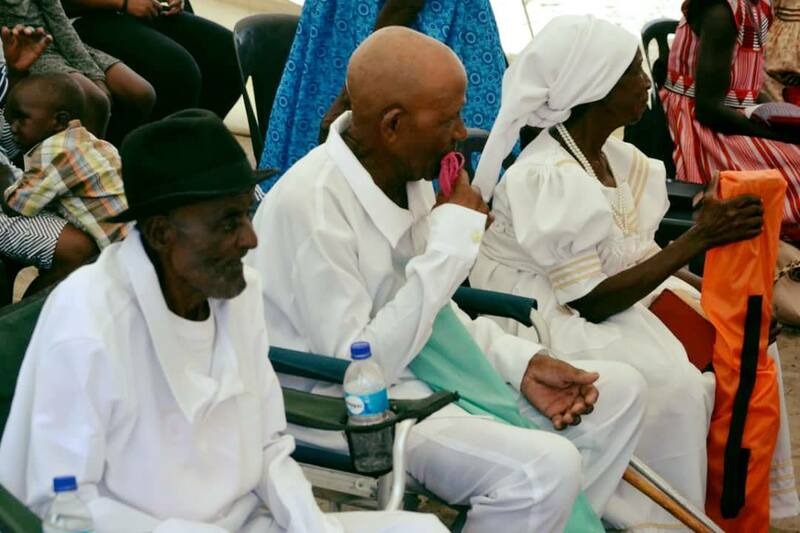 A resident of the Uukwandongo village in the Okahao constituency of the Omusati region, Timoteus Nelenge (centre) celebrated his 97th anniversary at his traditional homestead on new year’s day together with his wife Protea Israel (right), their 7 children, twelve grandchildren, a number of great grandchildren, neighbours, relatives and a big number of well wishers. But Nelenge’s 108-year-old brother, Lazarus (left) quickly became the centre of the attention of curious feast goers. 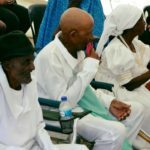 “Up until today, Tatekulu Timo[teus] was the oldest man I was aware of. I was greatly surprised to discover, today, that he actually has a living elder brother,” said youthful Nuusiku Iiyambo from the nearby Uukwamatsi village.